Bordered on the west by the Pacific Ocean, on the east by the Hood Canal and on the north by the Strait of Juan de Fuca — is Washington's Olympic Peninsula. It's one of the few remaining places that is still surprisingly wild; and might just be unmatched when it comes to terrain and diversity. Whether it's the wealth of outdoor activities or cultural experiences. Washington's Olympic Peninsula offers plenty of reasons to keep you going back for more. Located on the western section of the Pacific Northwest is North America's best remaining examples of temperate rainforest. All throughout this region you'll see giant western hemlocks, Douglas-firs and spruce trees dominating the landscape. While ferns and moss coat the trees and forest floor. Being that this area receives an average rainfall of about 140 inches, it's easy to see why just about every corner of this region is covered in green. Hoh Rain Forest is one of the finest remaining examples of temperate rainforest in the United States. It's also one of Olympic National Park's most popular destinations. This unique ecosystem features rushing waterfalls, abundant hiking trails, stunning wildlife, moss-covered forests and some of the largest trees in the world. Washington's Olympic Peninsula also encompasses miles of coastline. The beaches in this region offer access to some of the wildest and most beautiful beaches around. However, these are not made for sunbathing; but rather for exploring tidepools, backpacking, and hiking along a portion of the Pacific Ocean that is riddled with driftwood and sea stacks. Although there are variety of beaches to explore; any and everyone of them will leave you mesmerized. Rocky beaches, giant driftwood, pounding waves and views of sea stacks are all features that define this beautiful, rugged beach. Set within the Kalaloch portion of Olympic National Park, Ruby Beach is one of a series of beaches on the southwest coast of the Olympic Peninsula. It is also one of the most visited areas in the national park. 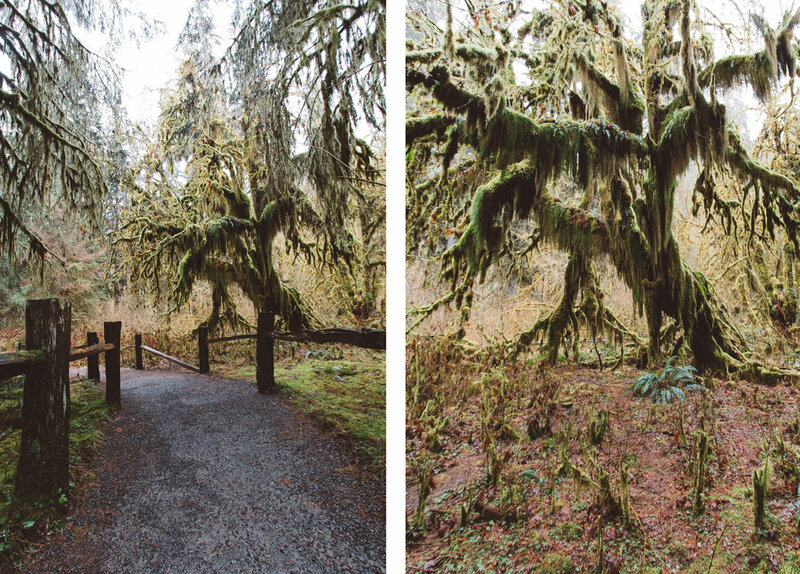 Weaving through coastal forests, on cedar boardwalks is a path that eventually ends at the northwestern-most point in the contiguous United States. For over 40 years, Olympic Game Farm has provided visitors from all over the world with an opportunity to learn and observe wildlife, in a uniquely up close way. While driving through their 84 acres of terrain, you'll get to interact with a variety of wildlife from the comfort of your own vehicle. Most of their friendly animals will approach your car window eager to grab a slice of bread or two. Some of the animals you'll encounter include Llamas, Tibetan Yak, Elk, American Bison, Spotted Fallow Deers, Sika Deers, European Fallow Deers, and Zebras. Make sure upon entering the game farm on self-guided tour, that you have plenty of whole wheat bread. That is all the animals are allowed to eat. Also, feel free to drive through the tour until your soul is content.